If it is not possible to schedule a Westmoreland Cleanways speaker we can work with you to develop a lesson or activity. We also have educational material available at no charge. Printed material is available while supplies last; the interactive boards are available for loan on a first-come, first-served basis. Contact our Program Director or call 724-879-4020 for technical support or to order materials and supplies. Vermicomposting, K-8 Curriculum: developed by the Sustainable Living Center as an educational tool to educate students on a fun and simple method of recycling food waste. One lesson per grade, including age appropriate use of the scientific method as well as visual aids and resources. Composting in the Classroom, Scientific Inquiry for High School Students: Using the inquiry method, students learn about the science of composting, monitor the composting process, and measure the attributes of finished compost. 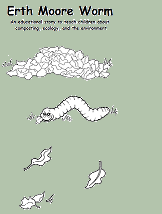 Although each chapter includes research possibilities, the last chapter is devoted to designing meaningful research projects focusing on compost. Plastic Practices: This curriculum was developed by a St. Vincent Master’s Student for Westmoreland Cleanways’ use. Its target audience is students in a secondary chemistry course. Students conduct varies lab activities, research, and debates about plastics in today’s society. Test Your Litter IQ Board: Interactive puzzle board that shows the true lifespan of litter. Participants choose how long litter takes to break down in the environment. A buzzer sounds with the correct answer. 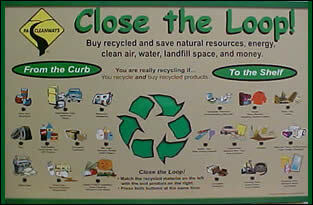 Close The Loop Recycling Board: Interactive puzzle board that shows what becomes of commonly recycled items. Participants decide what items are made from what recyclable material. The recycling loop (mobius) flashes with the correct answer. If you come across a great book, please share it with us by emailing our Program Director. Great resources for planning lessons, activities or for developing awareness and understanding. EPA – Wastes- Educational Material: The EPA offers resources and kits to increase awareness of solid waste issues, encourage and increase waste-reducing behaviors, and inspire participation in environmental outreach activities. My Garbology: An interactive online game that teaches about Garbology and answers the question, “Where should my waste go?” Besides the game, this site also has lessons and activities to extend the Garbology experience. Green Education Foundation: Explore the free lesson clearinghouse to find stand-alone lessons that are easily integrated into your existing curriculum plans. I Want to be Recycled: Take a tour through the recycling journey to understand why and how items are recycled. Plastics Make it Possible: Plastics Make it Possible® highlights the many ways plastics inspire innovations that improve our lives, solve big problems and help us design a safer, more promising future. Think Green: Waste Management and Discovery Education have partnered to engage students in learning about the environment. How We Make Stuff: This website is based on a pop-up book ‘How we make stuff’, written by Christiane Dorion. This website explores further how we can learn from living systems and rethink the way we design, make and use our stuff. The Ocean Cleanup: The Ocean Cleanup develops technologies to extract, prevent, and intercept plastic pollution. If you come across a great website or video, please share it with us by emailing our Program Director. Recycle Bowl: This free, friendly, national competition held in conjunction with America Recycles Day (November 15th), is designed for K-12 school recycling programs to ignite recycling within the school. During the competition, the schools compete by collecting and tracking the weight of recyclables for 4 weeks during the Recycle-Bowl competition. Recycle Mania: A friendly competition for colleges and universities to help promote help promote waste reduction activities on campus. During the competition, the schools compete by collecting and tracking the weight of recyclables. Crayola ColorCycle: Participate in ColorCycle at your school by collecting used markers and sending them to a conversion facility where they will be transformed into clean-burning fuel. 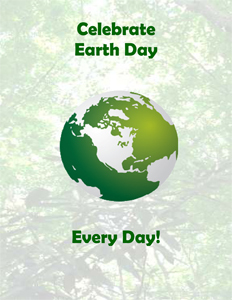 This site also contains standard based lesson plans that promote class discussion on the importance of protection the environment. The Crayon Initiative: The Crayon Initiative supports environmental efforts by diverting crayons from landfills. They collect unwanted crayons, recycle them into new crayons and then donate them to hospitals and other child focused organizations. Blue Jeans Go Green: Mail in worn denim to be recycled into insulation. UltraTouch TM Denim Insulation is then donated to Habitat for Humanity projects and civic building construction projects. Preserve The Gimme 5 Program: Collects and transforms common #5 plastic containers and silverware, as well as some Preserve products, including Preserve toothbrushes, razor handles and food storage that cannot be recycled curbside. TerraCycle: Provides free waste collection programs for hard to recycle materials, such as drink pouches and snack bags. They then turn the waste into affordable green products.